With Spring just around the corner, many homeowners are probably thinking about spring cleaning. Whether you are thinking about remodeling your kitchen or just cleaning your carpets, one thing you might not be thinking is about is pests. Spring brings an onslaught of pest problems. When it comes to pests, the best solution to prevent them. 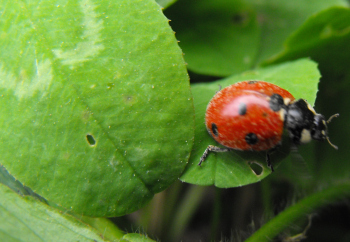 Here are a few ways you can preemptively avoid pests this Spring. Early spring is the best time to break out the vacuum and do a clean sweep of your home. With the increase with the insect population, keeping a clean home discourage ants and termites from starting colonies in your home. Package all dry foods in airtight containers and make sure your furniture is properly vacuumed under and around to combat super bowl food messes. Make sure to drain puddles around your property caused by melted snow. Warm pools of water in the spring and summer can become a breeding area for insects and pests. Clear out birdbaths, flip over tires, & check your trash bins for excess water. Clear your gutters. Snow can often carry debris that blocks gutters and stops them from draining properly. Frozen damaged pipes can cause leaks in the spring. Not only is this bad for your utility bill, but puddles of water around leaking pipes also invite mosquitos, termites, & ants. Whether you are a DIY plumber or have a professional plumber make sure to look for leaks in early spring. Check your basement for puddles and attics for excess moisture. The best way to ensure that your home will be pest free is to have a professional periodically go over the premises. Consider hiring an exterminator to inspect your home for unsealed cracks/holes and give other recommendations. Professional home inspectors can check windows, door frames, and the perimeter of your home for hidden entry points that might be causing your pest problem. It is never too early to call pest control, if you see a small number of insects today, it could be an entire colony next week. At Absolut Pest Control we specialize in ant control, bat control, & rodent control. We service Massachusetts and New Hampshire, with expert pest removal and extermination. If you have a pest problem or questions about pest prevention contact us at 978-388-4589. Mosquitoes can be a real nuisance once the warm weather rolls in. Regardless of whether you’re enjoying a family barbeque or kicking back on your deck, your time can go from pleasant to agonizing as you swat these buzzing buggers away. If you’d like to keep yourself from becoming a mosquito magnet this summer, follow a few of our tips. If you’re heading outdoors for some extraneous physical activity, you might want to reconsider. Mosquitoes are attracted to excess body heat and carbon dioxide. If you’re jumping around outside and getting your sweat on, mosquitoes will be more likely to bite you. 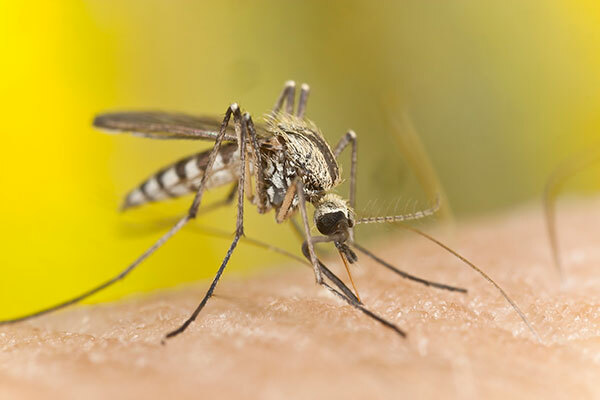 While the summer months are a great excuse getting outdoors and getting active, be aware of peak mosquito hours to prevent you from becoming a tasty morsel. One of the best ways to protect yourself while outside is to use a bug repellant. The CDC recommends using one that has been registered with the U.S. Environmental Protection Agency, as those chosen repellants have been evaluated for product efficacy and effects on both the human body and the environment. Use the repellent on bare skin sparingly and keep an eye out for products containing DEET. Also, lemon eucalyptus, a plant oil, is as effective as low concentrations of DEET which makes it another viable option. Once you return indoors, do yourself a favor and wash the repellent off. This is an important one because protecting yourself inside is just as important as protecting yourself outside. Take a look around your house at all the screens on your windows and doors to ensure there aren’t any holes or tears where bugs can get through. There’s nothing worse than thinking you’re safe from mosquitoes indoors only to hear a buzzing in your ear or seeing one land on your arm. Keep mosquitoes outside where they belong by making sure your window and door screens are doing their job. Want to protect yourself from mosquitoes this summer? Follow our tips! If you can’t seem to shake your mosquito woes no matter how hard you try, get in touch with us. You can reach us by filling out an online contact form or by calling us at 978-388-4589. We look forward to helping you. One should not have to worry about pests in their bathroom, period. But, if you have moisture issues in your bathroom, you may encounter silverfish or cockroaches, both spring pests, during your morning shower. Since both pests are attracted to moisture, be sure to eliminate open sources of water in the bathroom. Be sure to clean out your medicine cabinet, inspect the bathroom for any leaking moisture from pipes or faucets, and wash your shower curtain and liner. Nicer weather brings the ants right on out. The first place they’re likely going to invade if they get into your home is your kitchen since it provides ample access to both food and water sources. They will crawl throughout your kitchen in search of crumbs, residue from liquid spills, and overripe fruit left sitting out on the counter. Keeping a consistently clean kitchen is tantamount to keeping pests at a minimum, but there are a few more things you can do to help. Clean out your cabinets and remove old food items, like spices and flour. Those ingredients can attract beetles and ants. Once you’ve cleaned out your cabinets, wipe down the insides for good measure. You can also pull out your appliances and clean behind them, as you’d be amazed at how much is actually back there. Giving your kitchen a good scrub down isn’t a bad idea, either. Your basement can be a popular place for spiders and rodents to camp out in, especially because there are corners and clutter they can hide amongst. Going through items in your basement and getting rid of things you don’t need can negate this, as it will provide fewer hiding places. When storing items, don’t use cardboard boxes because they can wear down over time and allow pests access to their contents. Instead, use sturdy plastic bins with secure lids. If you happen to notice any cracks or crevices that give you pause, seal them up with caulk to provide pests with one less access area to your home. You’d be surprised at just how small an opening has to be for critters to get through. Spring cleaning shouldn’t just be a quick clean up. Spring cleaning doesn’t only get your house ready for spring either, but for summer too. By giving your home a solid inspection, particularly in the areas listed above, you’ll be ensuring strong pest protection for months to come. If you begin experiencing a persistent issue, please get in touch with us. You can reach us at 978-388-4589 or by filling out an online contact form. Typically, people encounter common ant problems in their kitchen. Even if you’re super clean, ants can sometimes find a way to your kitchen counters, particularly in the summer months. While most people expect to experience occasional ant problems inside of their home, it can be especially alarming when you notice ants going in, out, and around your home. Upon seeing this, you might begin to worry about the structural integrity of your house. After all, no one wants carpenter ants nesting in their siding. First off, not all ant problems are carpenter ant problems. This is a good thing! So, when you notice ants around your home, do not jump to conclusions that they are destroying the bones of your abode. Noticing ants in high volume, however, could mean there is a nest of them nearby. If you begin noticing an influx of winged ants by your home, consider this a strong warning there is a serious ant problem taking place. If you’re concerned about carpenter ants, look around the perimeter of your home for wood shavings. Carpenter ants, unlike termites, do not actually eat wood. They do burrow into the wood to make their nests, though, which leaves behind telltale shavings. Carpenter ants love to make their homes in decaying wood. Since decaying wood is often wet, they seek out structures that are damp. If your deck often stays wet for a time after a rain storm, it is a prime target for carpenter ants. Some other areas they target are eaves, underneath windows, and porches. Keep an eye on these areas throughout the spring and summer, especially if you notice ants around your home. The areas listed above are also portions of your home that often experience leaks, so watch out for those too. If you’re trying to rid yourself of a carpenter ant infestation, the solution is to give them a poor environment to nest in. Do this by keeping your home as dry as possible, both indoors and outdoors. Check to see if water is properly draining from your deck or porch. Examine gutters for leaks, in addition to making sure your windows are properly installed and free of leaks as well. If you still find yourself with a persistent ant problem, call the professionals here at Absolut Pest Control! You can reach us at 978-388-4589, or by filling out our online contact form. A termite is a small, pale soft-bodied insect that lives in large colonies with several different castes. Termites are known to feed on wood and can be very destructive to trees and timber. The main type of termites are subterranean, and they live in the ground. The subterranean termites invade wood or any types of material that have cellulose. You don’t want these type of insects invading your home and destroying it, it’s important to know how to properly protect your home. Keep mulch away from the foundation of your home, mulch is a food and water source for termites. Call a pest control professional if you feel there is a termite problem invading your home. Contact Absolut Pest Control for termite and insect control at 978.388.4589 or fill out our contact form online! Carpenter ants are among the largest types of ants living in the United States. These type of ants are usually 3.4 to 13mm and black, sometimes they have reddish-brown or yellow color to them. Carpenter ants can cause serious damage to your home, so it’s important you are able to identify them early on. The place that these ants call home is usually in moist, decaying conditions like hollow, rotted wood.A fact about carpenter ants is that they don’t eat wood, unlike other termites. Instead of eating the wood in your home, the carpenter ants simply remove the wood to make space for their nests. The reason they create these large galleries is to continue to grow and expand their colony. Carpenter ants like to eat food that is sweet and has protein, like leftover food that you may have forgotten to clean up after your dinner. They also have been known to eat other insects so that could also add to the insect problem in your home. If you notice any wood dust and debris, it could mean that their nest is nearby. If you believe you have a carpenter ant problem in your home, contact Absolut Pest Control at 978.388.4589 or fill out our contact form online! Many towns throughout Massachusetts are under warming for traces of West Nile Virus being found in Mosquitoes. First it was only found in bird-biting mosquitoes but new news is out that West Nile, or EEE, is now being found in mammal-biting mosquitoes, posing a significant threat to humans. Many communities in Massachusetts are being sprayed to try to kill off the mosquitoes but you should still take measures to protect yourself by bombing your lawn and always carrying bug spray with you incase mosquitoes get bad. Make sure to look up the symptoms for West Nile and be as educated as possible while trying to keep you and your family safe!